Invasive weeds currently cost Oregonians millions of dollars each year. One recent estimate indicates that without intervention these will increase to $1.8 billion in personal income losses a year from degraded lands and reduced productivity. A local effort is underway to help mitigate the impacts of these invasive weeds along the Clackamas River. Fourteen public and non-profit organizations have come together to form the Clackamas River Invasive Species Partnership (CRISP) to help agencies, organizations, and private landowners to more effectively manage these weeds. The CRISP partners are focusing efforts on invasive weeds that are known to reduce the value and productivity of land, impair water quality, and degrade natural areas important for fish and wildlife. To tackle this problem across the Clackamas basin, the CRISP partners have developed a strategy for identifying, tracking, and controlling invasive weeds. CRISP partners are planning invasive weed control and natural area restoration activities in four priority areas. Looking ahead to improve conditions. In recognition that it will require a long-term effort to improve conditions along the Clackamas River and its tributaries, the CRISP partners have developed a 10-year strategy for the partnership. 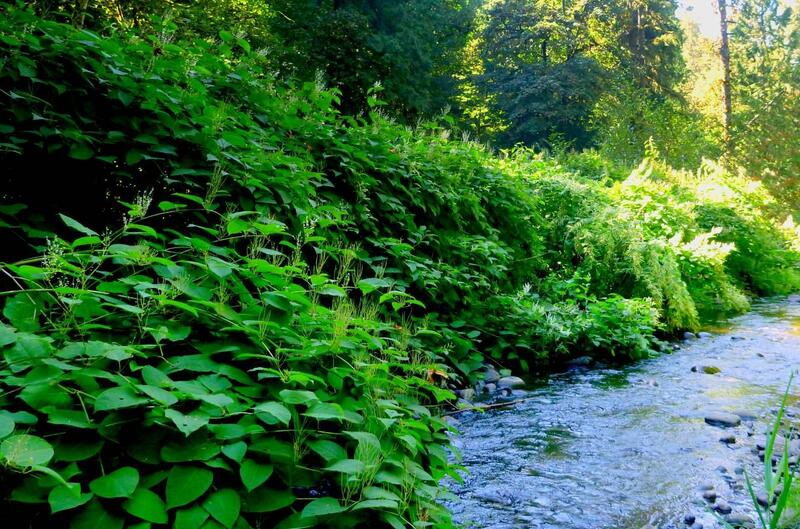 The resources CRISP partners have been using to control invasive weeds along the Clackamas River have been bolstered by a major grant from the Portland General Electric Clackamas Fund, to improve habitat for native fish. “We finally have strong coordination among agencies, organizations, and qualifying landowners throughout the Clackamas basin who can benefit from no cost control of their high priority weeds. 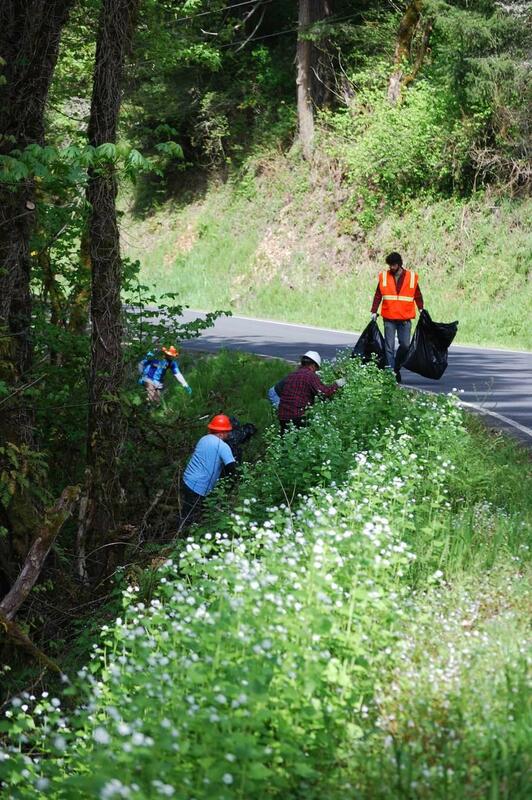 Landowners often feel unequipped to control weeds on their properties, so we can be a force on the ground to help them,” says Suzi Cloutier, Outreach and Stewardship Coordinator for the Clackamas River Basin Council. For additional information about Clackamas River Invasive Species Partnership or for a copy of the CRISP Plan, check the CRISP website or contact the Clackamas SWCD, WeedWise program or the Clackamas River Basin Council.